Walmart is the in-store grocery leader. 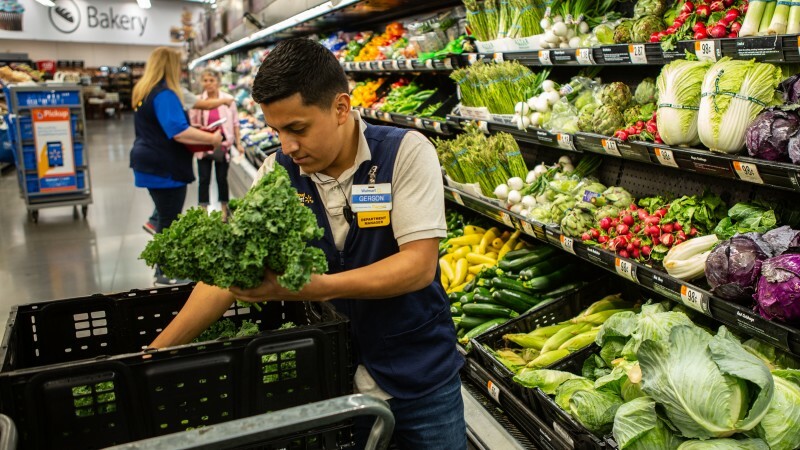 Some 27% of in-store grocery purchasers say Walmart is the in-store retailer they get groceries from most, more than twice as many as Kroger, the next most chosen retailer, according to market research firm Packaged Facts in the report U.S. Grocery Market Focus: The Walmart Food Shopper. While Walmart may be behind the overall e-commerce curve, it is already a leading online grocery player. Packaged Facts reveals that 23% of online grocery purchasers claim Walmart is the one they use most for groceries, second only to Amazon, with 38%.